In a small bowl, combine F1 shake mix, Personalized Protein Powder, and yogurt; Use a handheld whisk and stir until no longer clumpy. Spoon 1/4 cup of yogurt mix into the bottom of a glass or cup. Layer a few strawberries and blackberries/blueberries. Sprinkle a little granola on top of fruit. 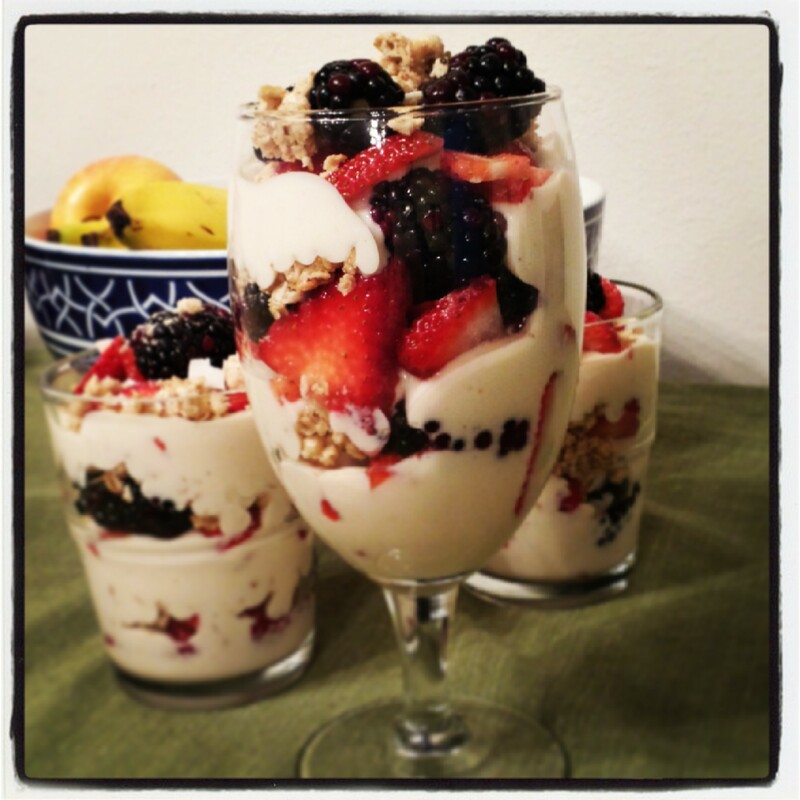 Repeat layering again and top with remaining fruit and granola. Then, hide from everyone so you can enjoy this yummy snack in peace without having to share! Have this tasty treat for breakfast or in place of a sweet evening craving. I added a tablespoon of Almond milk to my yogurt to make it a little more creamy. I tried this first with Greek yogurt, but the Formula1 Shake mix did not mix well with the texture of the Greek yogurt and the Greek yogurt was too tart.